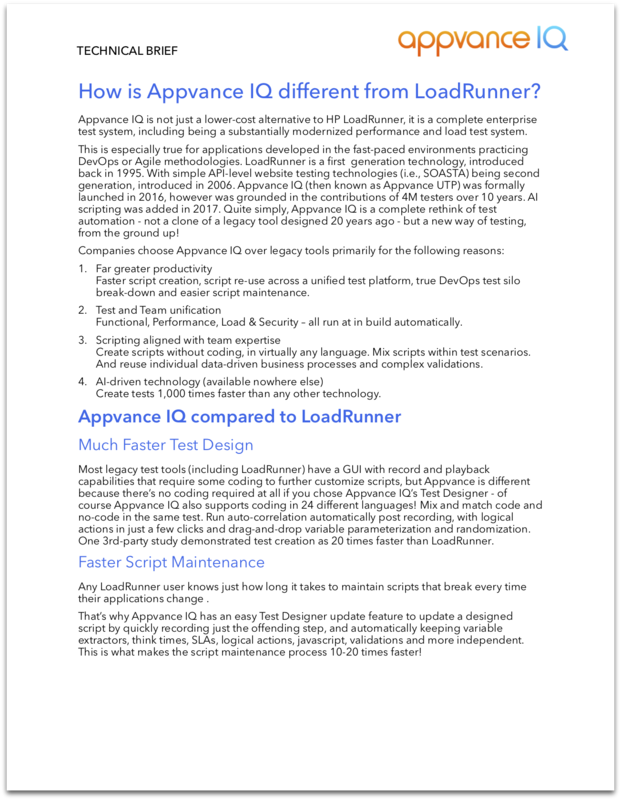 Tech Brief – How is Appvance IQ different from LoadRunner? 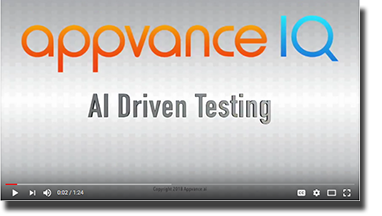 This 90-second video provides an introduction to Appvance IQ, the first AI-driven software testing system. 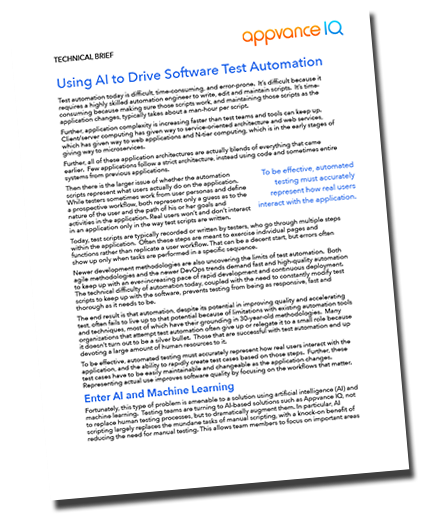 Learn more about how to use AI for software testing in this Tech Brief. 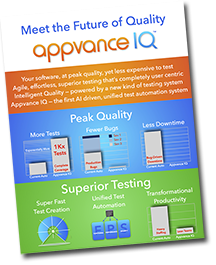 This infographic summarizes how Appvance IQ transforms testing and therefore transforms software quality. 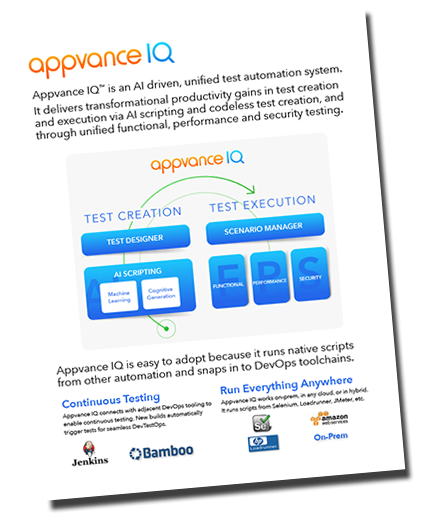 It focuses on the results of using the Appvance IQ system, along with the key capabilities that enable those results. 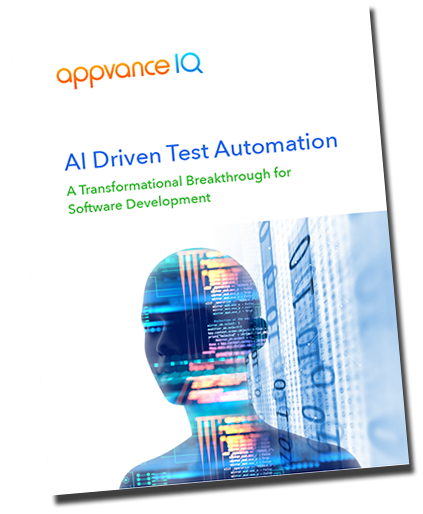 A business and technical overview of the first commercially available software test automation system driven by AI.